I’m frantically cleaning my room and office and really trying to get rid of piles of junk that seem to accumulate no matter how hard I try for that not to happen. Usually piles of clothes that were only worn a few hours so they’re still “clean” but not clean enough to hang up with all the other clothes. No, I still haven’t figured out the sense in that, but it’s what we do. Then there are piles of mail that was never opened because we pay our bills online. Mixed in with all the wasted paper we feel we have to keep but never open, there is always a CD and movie and earbuds and receipts and, and, and…. Agh!!!! Well, today I found a treasure lost among the weeds of waste. 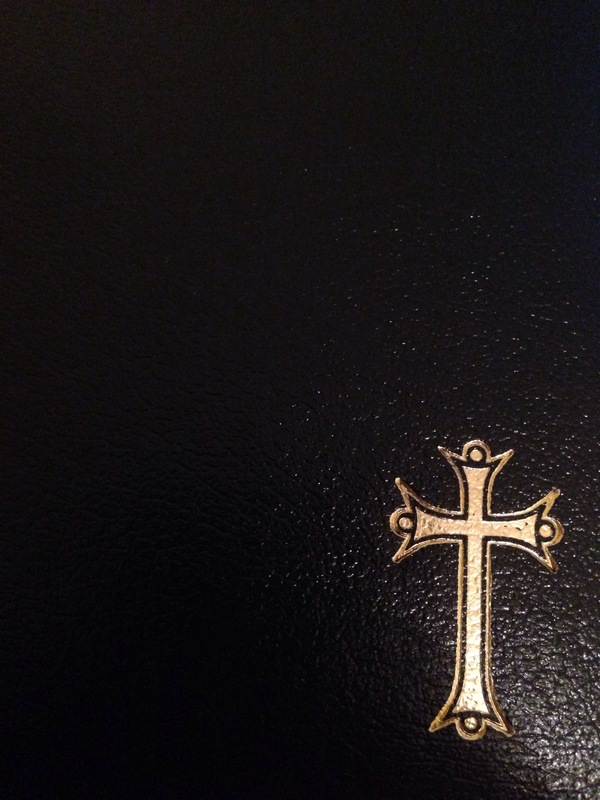 I found a little black journal with a small gold cross in the bottom corner. Inside are a few entries from my mom. I don’t read them. I never read her diary or anything like that. They’re hers. Her own private thoughts and words and I felt they should die with her. They’re hers. When I picked up the journal to move it, a small stack of 3×5 cards fell out. I looked down and smiled as I read them. They were mine. They were given to me at my bridal shower in 2002. Each lady there wrote a special note to me regarding how to make a marriage work. Some were funny 😉 some were right on, and some were a little strange. Different strokes for different folks I suppose. Though I do enjoy reading those from time to to time, the real treasure was tucked in between those cards. I have no idea how it got there. 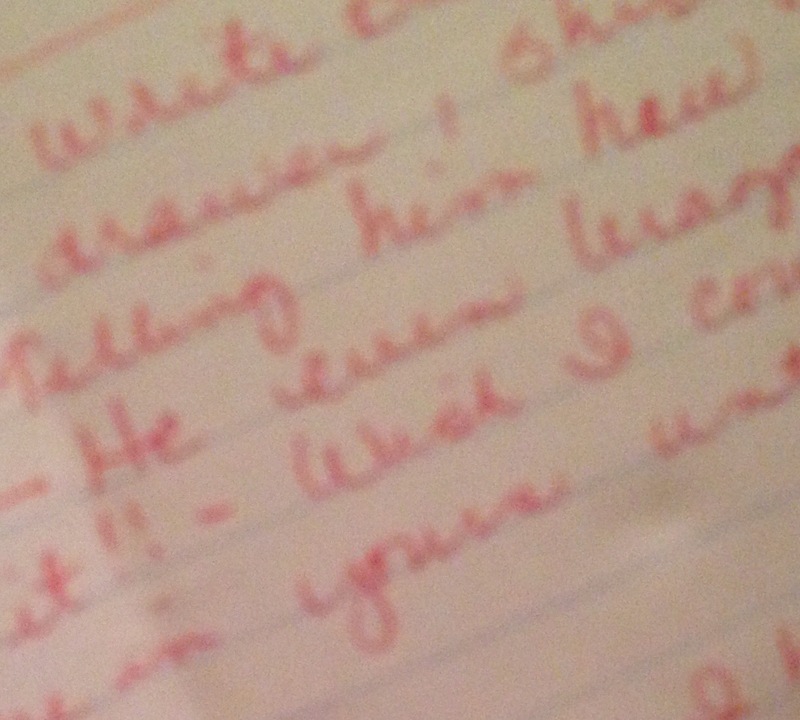 It was a note from my mom to me dated July 15, 1992. It was written 10 years earlier than my bridal shower cards. She was saying good-bye to me as I was leaving for cheerleading camp for a week and would also be spending time with my dad at some point. What’s so astonishing is that the first paragraph was “advice” about marriage! She just told me how she use to leave little notes tucked away in places my dad would find them telling him how much she loved him and to have a great day, etc… She said he loved them. This was her reasoning for leaving me a note tucked away in my bag that I took with me. It was there for me to find because she and dad were divorced and she missed leaving notes for him. It dawned on me why I’ve been a bit of a grouch this last week. My mom is on the very surface of my heart right now. Christmas was her very favorite time of the year and it’s mine also. Memories of my gorgeous mom can be found in twinkling lights, wrapped presents, communion on Christmas Eve, cold nights driving around wrapped up in warm jackets, and starring at the beautiful nativity in front of the Methodist Church in Bronson. Her memory is found in every special tradition I try to make for my own children, anything soft and cozy and anything sparkly and special. Her smile immediately pops into my head as soon as I think of her and her laugh echoes through my heart. She is missed but she is a part of me… Or rather, I am part of her and so she lives on. She lives on not just in Heaven with our Father God, but she lives on in family traditions and the memories that will dance around in my mind for as long as I breathe. Now! I have to chill out and be nice to my babies and stop being a grouch and enjoy this busy but lovely time of year. Christmas will be over soon. I wish it could last forever. So, I have to savor every moment and not be sad! Today I encourage you to find joy! Find joy in the memories of those who have gone home before us and find joy in the life that is still with us! This is our time. We are here now. Get up and do something amazing for someone else this Christmas! Be selfless! Stop focussing on who you’ve lost. Focus on who you have and who you are. Do something for the glory of God and in the hope that you can pass on the love that you miss so much! What would your loved one take delight in you doing for someone else? 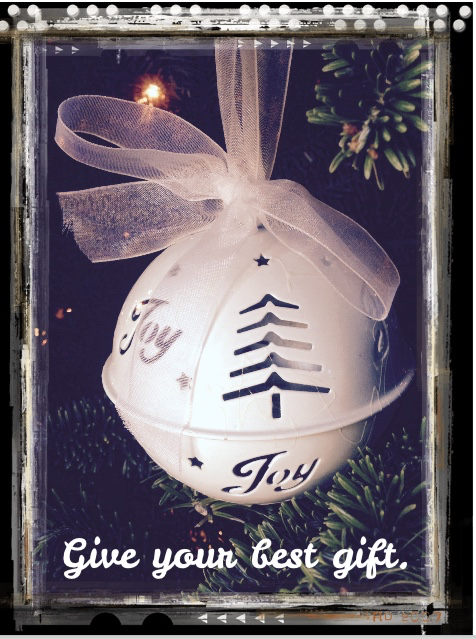 Give your best gift… Give yourself, give your time, and leave a legacy! Next Who Do You Represent?